If you have clients who are pressed for time, but still want to make the most out of their vacation, we have highlighted what to see, taste and experience with just 48 hours in Medellin, Colombia. “People want to know what happened in Medellin, how is Medellin right now,” says Clemencia Botero Fernandez, director of tourism of culture and nature for the Medellin Convention & Visitors Bureau. Over the past 20-25 years, this city, located in the mountainous Antioquia province of north-central Colombia, has transformed from a crime capital to a vibrant culture-rich destination; and travelers are taking note. Taste: Of Medellin’s many dining corridors, Barrio Provenza is said to be the trendiest. 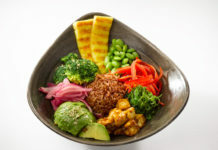 The streets are neatly divided by running creeks and lush green bamboo forests and there’s a definite bohemian vibe seen through the street art and diverse restaurant patrons. Think hipsters, backpackers and glamorous jet setters. 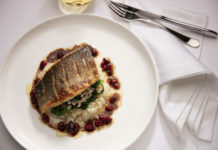 In Carrera 37, also called Via Primavera, try the paella at the Ole Ole Spanish restaurant; or head two streets north to Mu Ribs on Carrera 34 for what are said to be the best ribs in town. 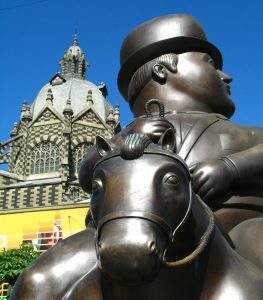 Plaza Botero in Medellin, Colombia. 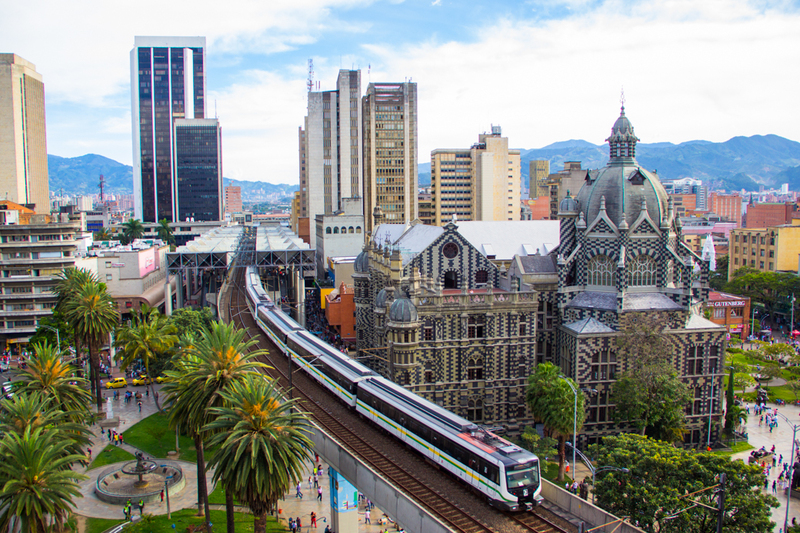 Try: Papayote Travel offers a 4-hour Medellin – Panoramic City Tour visiting some of the city’s most popular sites, including El Pueblito Paisa, the Explora Park, Botanical Garden, Plaza Botero (seen to the right), Barefoot Park and Metro Cable. Tickets start at $42 pp. Commission is available. Experience: “We also have a museum, Casa de la Memoria, where you can learn about what happened in Colombia, because our conflict is the oldest conflict in South America; more than 50 years. So it’s very important to know what happened, not to repeat the story, and to understand,” says Botero Fernandez. A Superior Suite room at the Du Parc Royal Hotel. 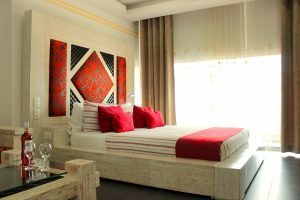 Stay: The boutique Du Parc Royal Hotel offers 50 luxurious rooms just two blocks from Parque Lleras in the quiet El Poblado district. 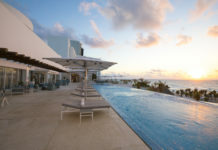 Amenities range from a gourmet restaurant serving traditional and original regional dishes to a spa with three treatment rooms, a sauna, a solarium, and a gym. Rates in an Executive Suite start at $99 per night dbl. 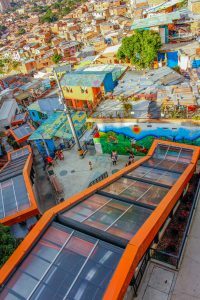 See: “This area was very complicated years ago, but now it’s full of graffiti; young people show the visitors what happened in their neighborhoods; it’s a very interesting culture to experience,” says Botero Fernandez. Medellin City Tours offers a 3-hour Street Art Tour that takes guests to the city´s most lively barrios on a fully narrated tour with a professional local guide. 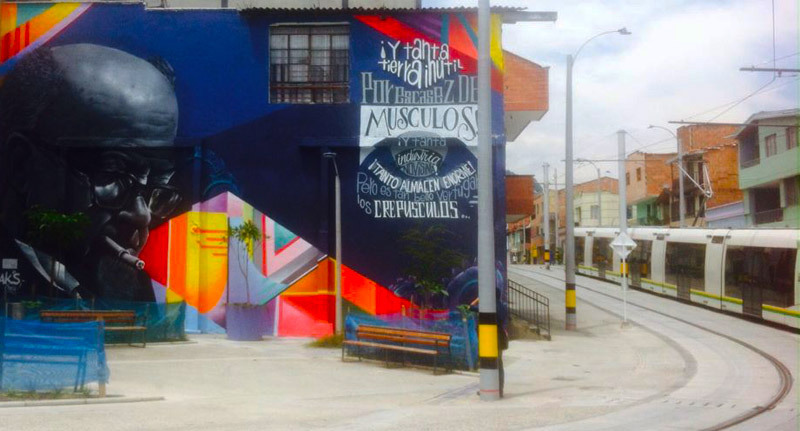 There, they’ll discover some of Medellin´s most colorful urban art and have free time to walk around and take photos. Tickets cost $11 pp. Commission is available. Taste: Medellin is blooming with a variety of farmer’s markets, such as Mercados Campesino (seen to the left). 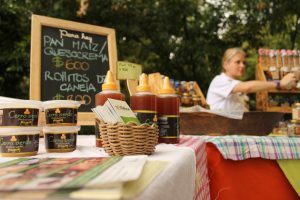 Every Sunday morning from 8 a.m. to 1 p.m. in the open air of Parque Presidenta (alongside Dann Carlton Hotel) and Cuidad del Rio (behind the Modern Art Museum), visitors can find merchants selling everything from fresh veggies, breads and spices to sauces and other fresh treats. And for those looking for a to-go snack there’s fresh empanadas, tamales, chorizos and arepas. Try: Birdwatching at Nutibara Hill. This recreation area and natural lookout just south of downtown Medellin offers 360-degree views of the city. At the top visitors will find Pueblito Paisa, a replica of an Antioquian village. Experience: “We have a very special heritage that is called the silletero culture; and it is a culture that comes from the people from Santa Elena, that is a part of Medellin in the countryside. These people’s ancestors carried a chair made of wood on their backs with different products, groceries and now it has evolved to flowers. 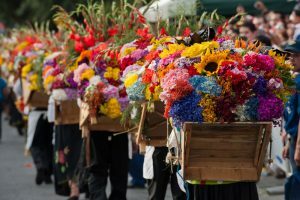 Today we have The Medellin Flower Fair in August. It’s a beautiful event. On the last day we have the silletero parade, where 500 silleteros parade 1.5 miles [through the city streets],” says says Botero Fernandez. 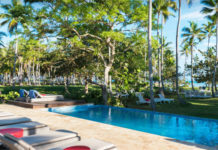 Stay: The eco-centric Diez Hotel in in El Poblado offers three room categories: the 484-sq.-ft. Suites and 344-sq.-ft. Standard Double and Twin Standard rooms; three different restaurants serving Colombian cuisine and international dishes; and a spa offering massages, therapies and facials. Rates start at $32 per night. Getting there: Avianca offers service to Jose Maria Cordova International Airport from Miami, New York and Los Angeles. 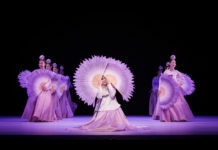 For more information, visit en.medellinconventionbureau.com.